Dedicated to Edmond Quilt Guild members who are no longer with us, but live on through their quilts, and the impact their lives made on others. If you would like to share photos of these quilters or their quilts, email them to Dottie Alexander. Nell Claunch would be pleased to know that NQA is predicting "Radiant Orchid," to be the color of the year for 2014. Many of us knew her as the "little lady who made BIG quilts," and always with a major or minor purple splash. At her memorial service, she was compared to the hospitable, Lydia, "the seller of Purple," in Acts 16. Nell was a member of more than four local quilt groups, having first learned to love quilting from her mother. One circle of treasured quilting friends came for a visit with a special memory quilt they made for her, when she could no longer participate. Another EQG member noted that, "She was just like my grandmother," and remembers that Nell had generously helped her on the day the guild had the Studio Tour when she was short of volunteer help. Nell was a teacher in the Jones public schools and then a sub in the Edmond schools after she retired, and she maintained close friendships with many of the teachers and former students, as well as her many quilting friends. Her generosity and thoughtfulness "paid it forward" when she needed caring and support the last few months of her life. We lost her in May of 2013. After her birth in Pennsylvania, Dottie Alexander was brought to Oklahoma right after World War II in 1946 by her new husband, Ralph Doughty. She was active in churches and schools most of her life; St. Peter and Paul's in Cushing, St. Patrick's in Oklahoma City, St. Charles in Oklahoma City, and St. Monica's in Edmond. She was involved with building St. Patrick's Church and instrumental in the Pre-Cana Program for engaged couples. Through her life she had many passions and was quite the "party girl" in her younger years, participating in amateur talent shows at Kerr-McGee. Dottie had a very active leadership role in the Central Oklahoma Quilt Guild, was a charter member of the Oklahoma State Quilting Organization, and an active member of the Edmond Quilt Guild. Dottie passed away peacefully at her home on November 28, 2017. She will be missed by her family as well as those who knew and loved her in the Edmond Quilt Guild. 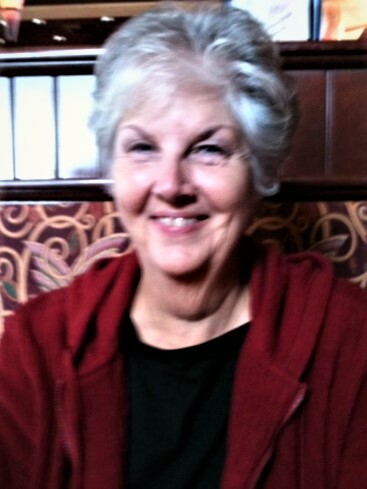 Pat was one of the founding members of EQG and our first treasurer. Her task in those early guild years was to help complete our IRS paperwork for our non-profit status. 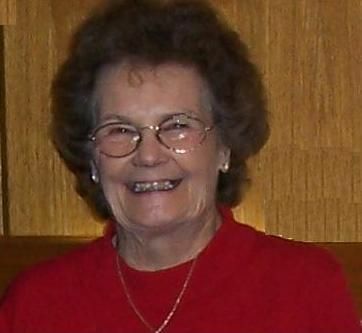 She was active with the St. Mary's Quilt Group, Central Oklahoma Quilters Guild, and was a driving force behind the start of the "Rotary Rebels" small group. Donations in Pat's memory can be made to the National Wildlife Federation. Evelyn was a charter member of EQG and mother to member Debi Pickens, and aunt of member Sharon Thompson. She was a member of "Beyond the Block" small group and opened her home once monthly for the study of art quilting and show and tell. One of her sayings "My seams match if you look at them from a galloping horse" is one we can all appreciate. Donations in Evelyn's memory can be made to www.komencentralok.org, or your favorite charity. Debra Lea, after a battle with leukemia, died January 23, 2012. We will all remember her smiling face and she never had a bad thing to say about anybody. She even found good things to say about an ice storm. She was a charter member of EQG and an original member of the Beyond the Block group. She will be dearly missed by all that she knew and touched. Trish Pate was a charter member and served on the first board of EQG as membership chairman. She helped set up the data base for the membership program and helped research our first computer. Our smooth beginnings were in part because of her hard work and diligence. She was a good sport, smart and always unselfish with her knowledge of quilting and any other endeavor the guild or member of the guild needed. 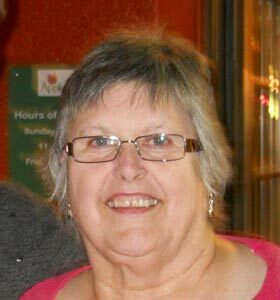 Lucy McAnnelly passed away on September 30, 2018, at the age of 84 in Edmond, OK from complications of multiple myeloma. Lucy was a talented seamstress and quilter. She was active in various quilt groups. 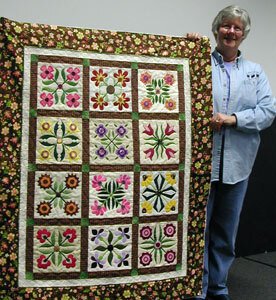 Alice was an avid quilter and charter member of EQG. She died February 22, 2019, after a year-long battle with cancer. 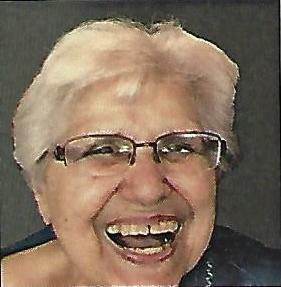 She always had a positive, generous attitude and was so much fun to be around. She will be sorely missed in the quilting community and by her friends and family.